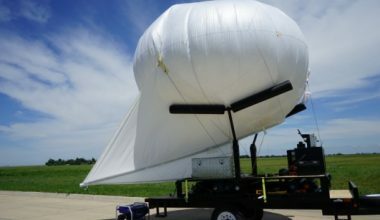 Quickly deployable aerostats with high resolution, day-night cameras, can be put in place in response to disaster recovery, threat tips, and daily port management. CONCEPT: Judicious placement of an aerostat with a high resolution, day-night cameras, and communications nodes can significantly enhance the effectiveness of port communications, data transmission and situational awareness. The persistence of the aerostat enables more affordable coverage, on a dollars per hour basis than aircraft, UAVs, or satellites. 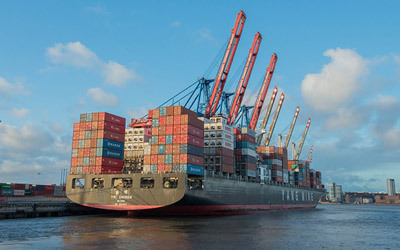 Automatic Identification System and Specific Emitter Identification payloads are available options. For long-range surveillance, out to about 90 miles, large aerostats with synthesized radar-camera systems are available. 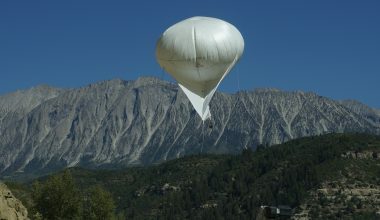 FUNCTIONS: SkySentry’s Tactically Expedient Aerostat—34 M3 (TEA-34) Aerostat and larger models up to 100M3 are fully integrated with surveillance cameras and networked communications. Of course, the TEA can easily be integrated with current customer payloads as well. Please consider how established experts, with extremely competitive pricing can help with analysis and reviews and innovative problem solving in technically challenging disciplines.